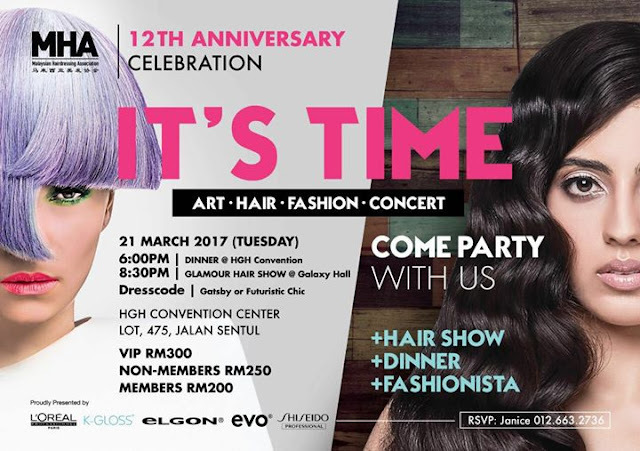 The Malaysian Hairdressing Association (MHA) is set to celebrate its 12th anniversary with the biggest hair show and fashiontainment extravaganza in Malaysia, titled “It’s Time” on 21st March 2017 at HGH Convention Centre, Sentul. Aimed to create a platform for local talented hairdressers to showcase their work to larger audience, the gala will also features Australian famed hairdresser, Atilio Dusa to showcase the latest trend in hairdressing, in tandem with MHA’s mission to support industry unity and program which contributes to advancement of hairdressing. Also dubbed as a ‘fashiontainment’ event, the show is set to celebrate fashion in an eclectic way with the theme of 1920s/30s Gatsby glamour and futuristic chic. The idea is to showcase hairdressing evolution; from yesteryear to future created by today’s talented hairdressers. 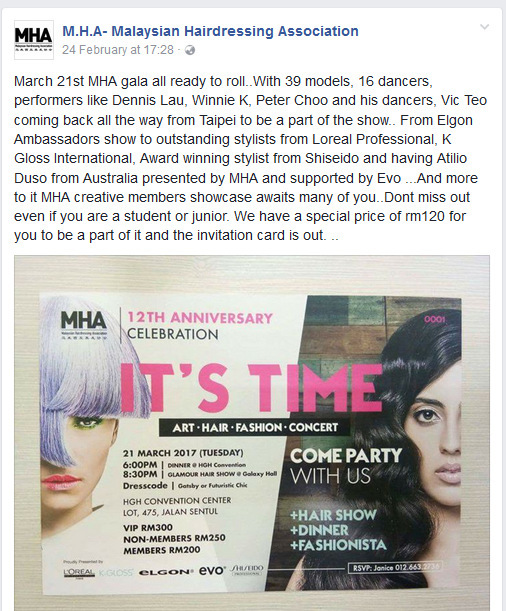 Besides the hair and fashion show, the celebration also includes concert performances by two of MHA’s hairdressers who won the ‘Hairdresser Got Talent 2016’, along with local electric violinist; Dennis Lau, and Malaysian singers; Vic Teo, and Winnie K.
Supported by L’oreal, Elgon, K Gloss, Shiseido and Evo Malaysia, part of the proceeds from the gala will go to Lighthouse Children’s Home in Bangsar and Ipoh Children’s Home. 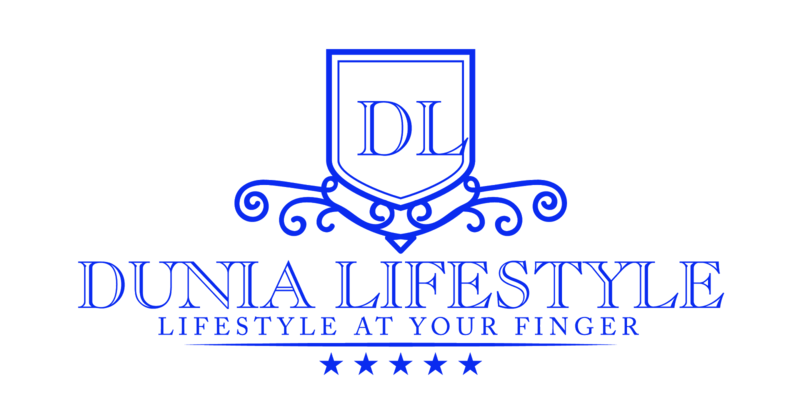 For more info, do visit Facebook Page of M.H.A- Malaysian Hairdressing Association.